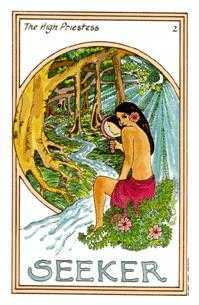 Get your self out of the way and become attuned to a more spiritual view. 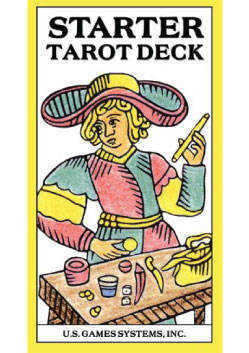 Starter deck © U.S. Games Systems, Inc. 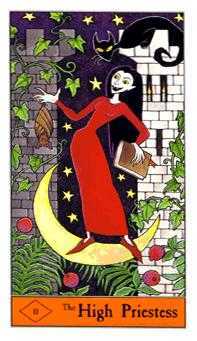 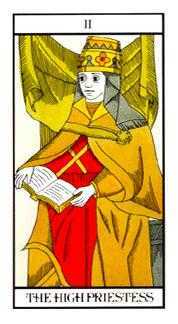 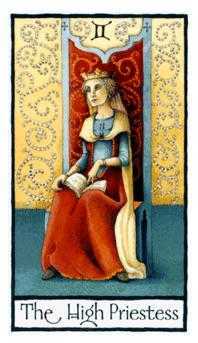 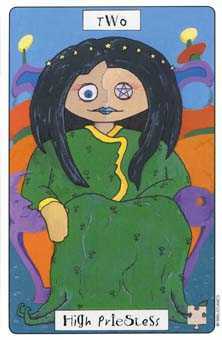 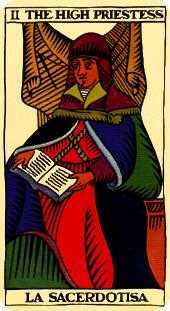 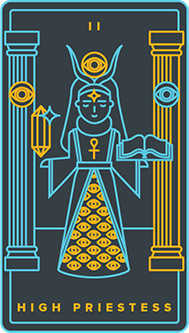 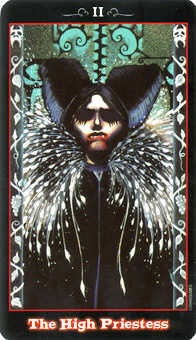 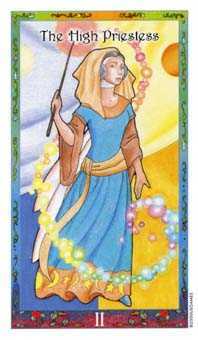 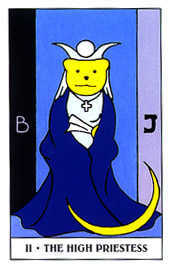 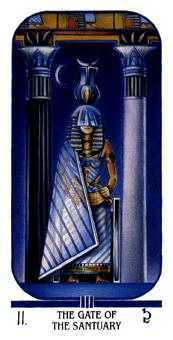 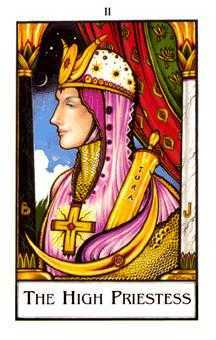 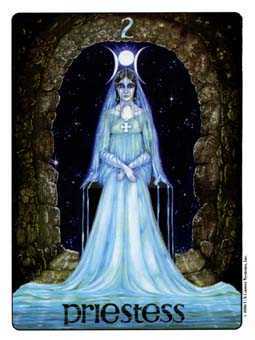 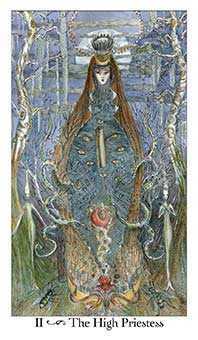 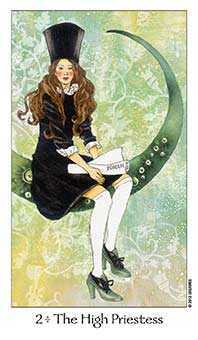 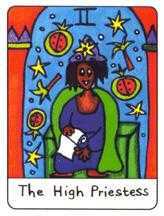 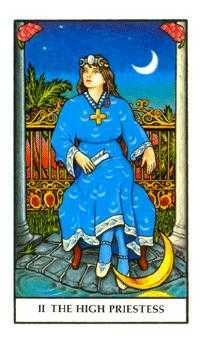 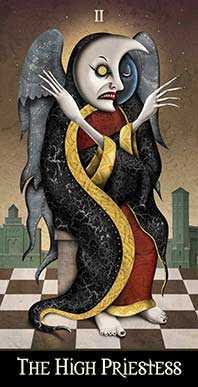 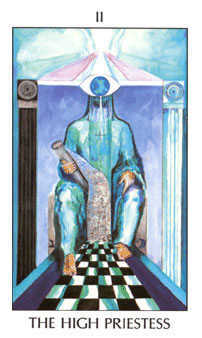 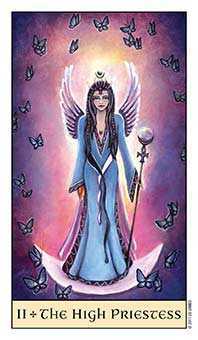 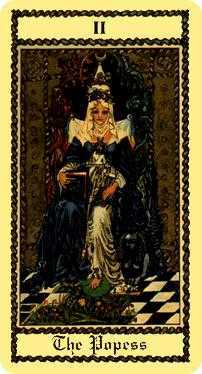 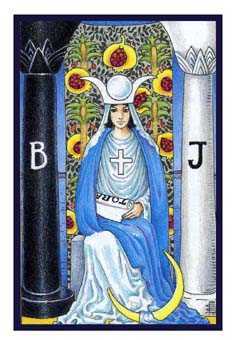 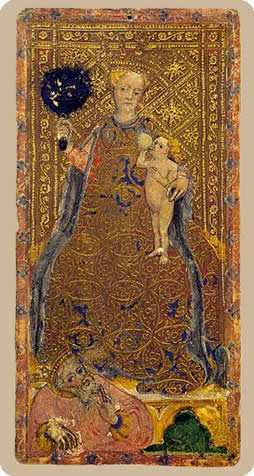 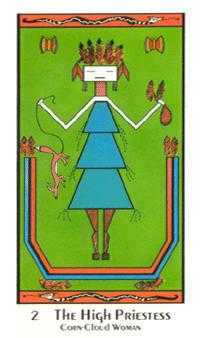 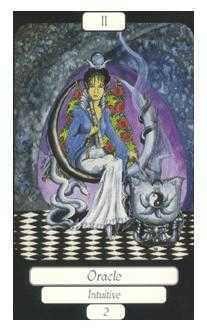 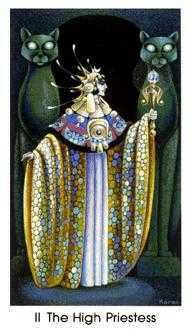 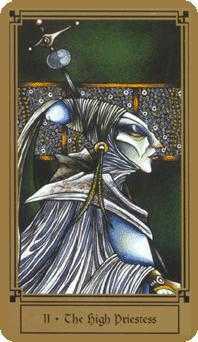 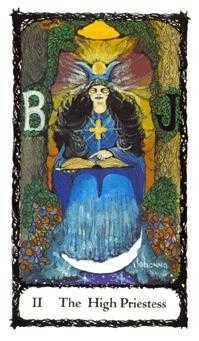 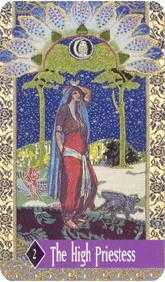 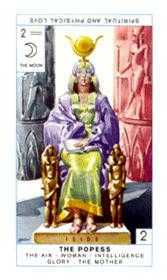 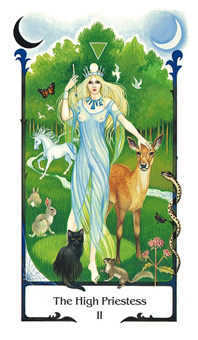 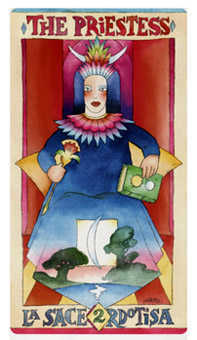 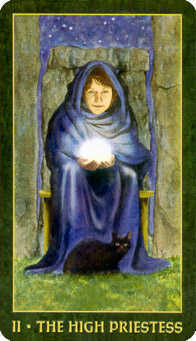 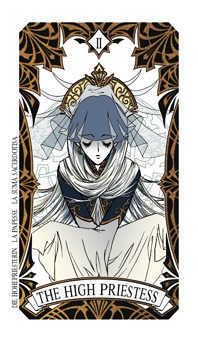 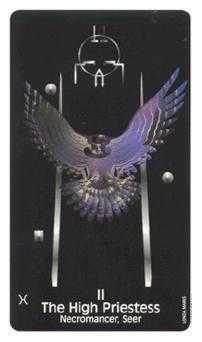 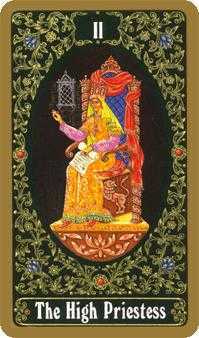 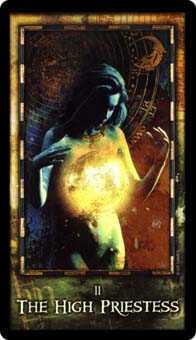 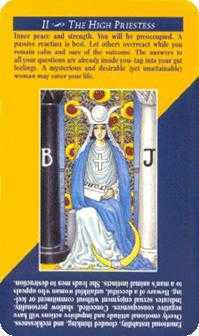 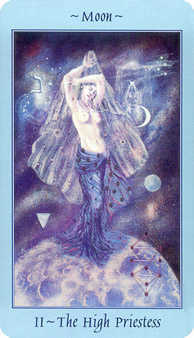 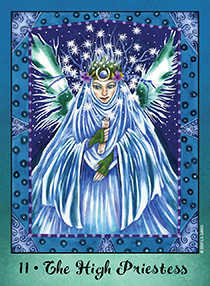 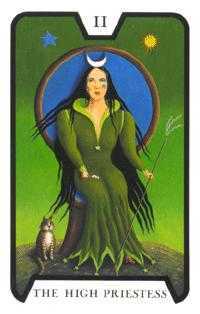 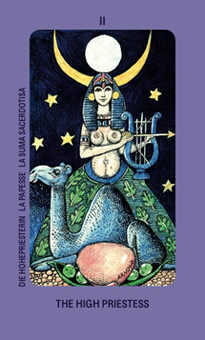 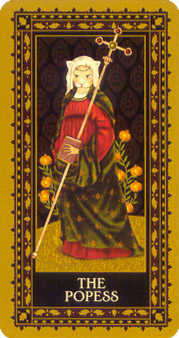 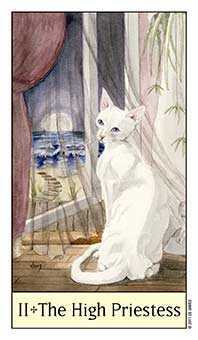 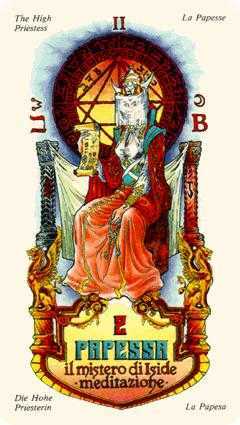 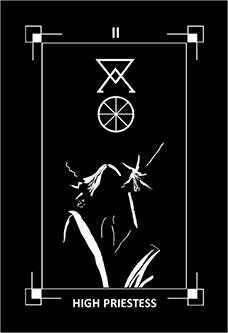 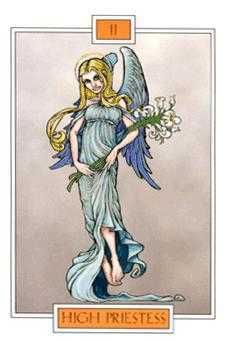 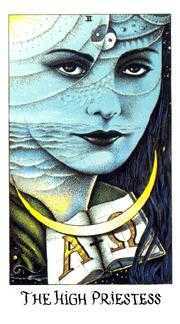 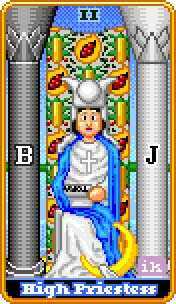 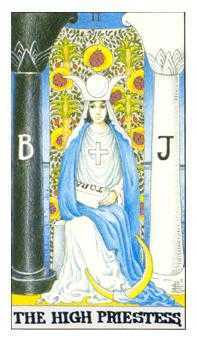 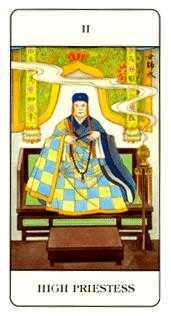 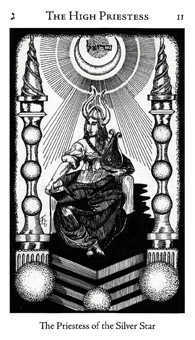 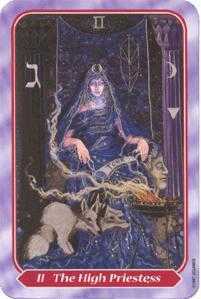 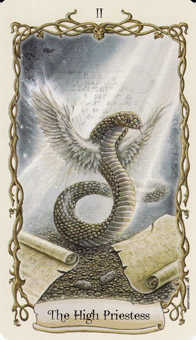 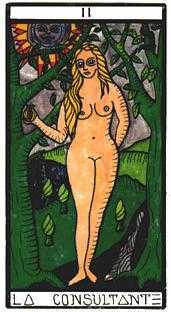 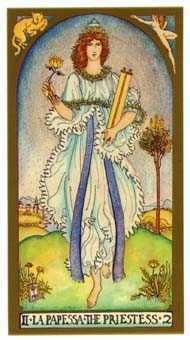 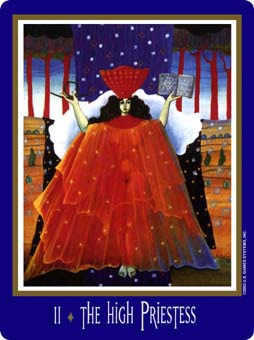 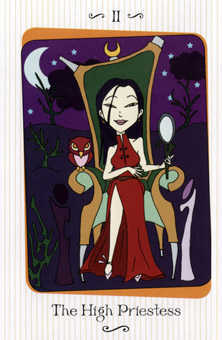 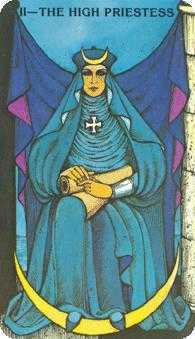 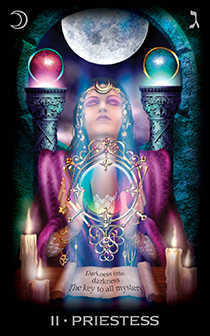 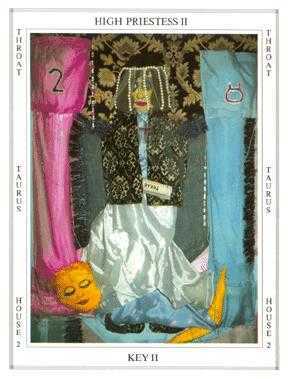 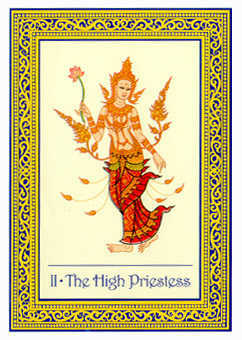 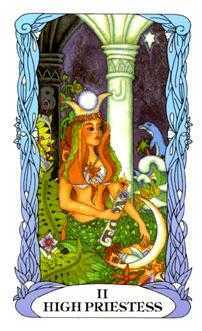 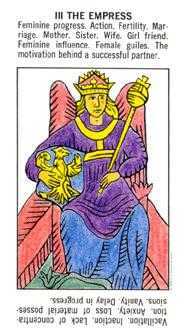 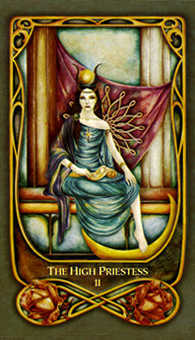 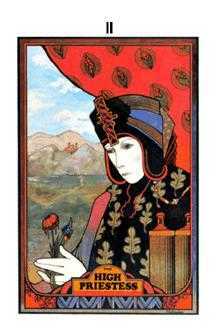 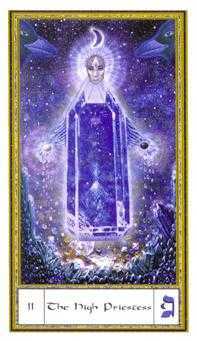 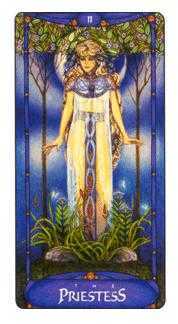 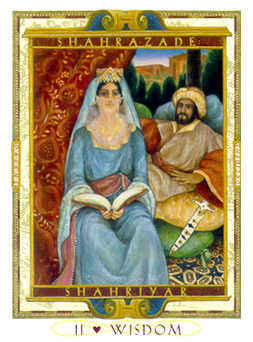 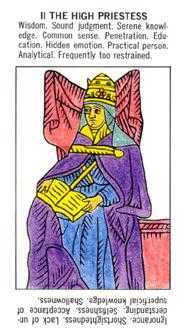 The High Priestess is a Major Arcana, or "trump" card, that represents human wisdom. 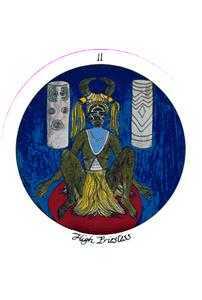 The High Priestess can be viewed as a kind of female Pope (a Papess), or the ancient Egyptian Priestess of Isis, the even more ancient snake and bird goddesses, the Greek goddess Persephone, or Eve, before the fall. 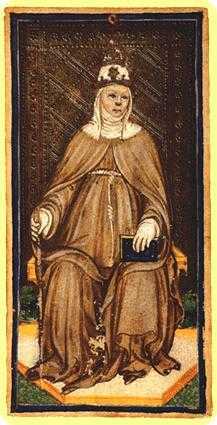 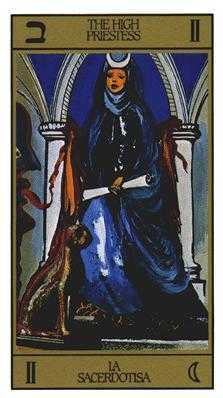 For the accused heretics who were burnt at the stake for revering her in the 14th and 15th century, the Priestess symbolized the prophecy of the return of the Holy Spirit, which was perceived as the female aspect of the Holy Trinity. 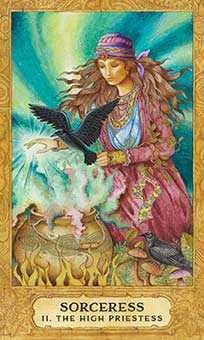 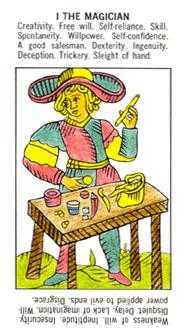 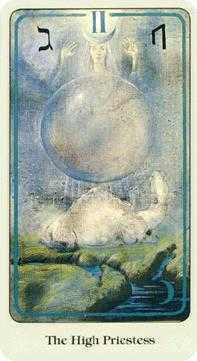 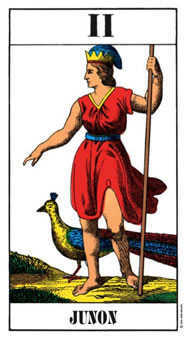 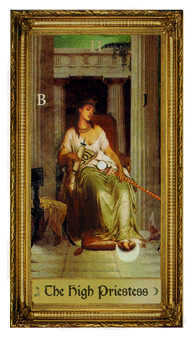 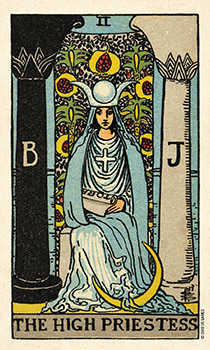 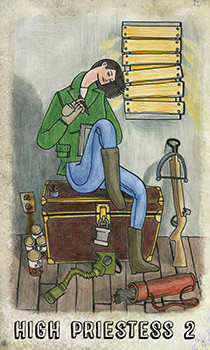 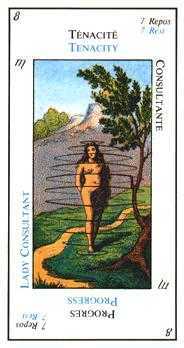 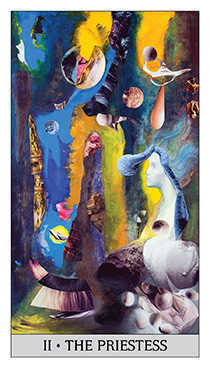 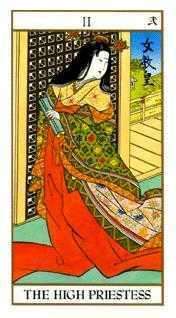 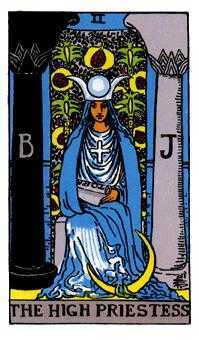 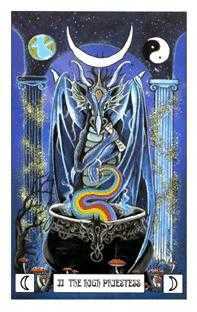 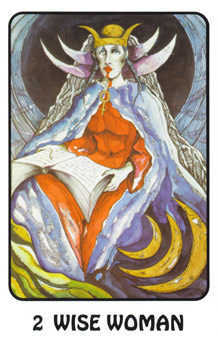 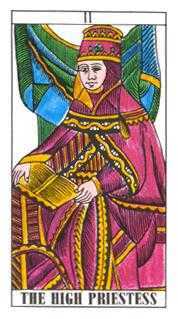 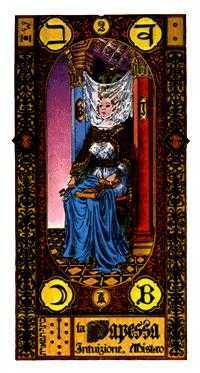 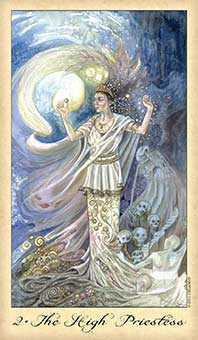 In terms of the Major Arcana ordering of cards, The High Priestess appears in the sequence as soon as the Fool decides he wants to develop his innate powers, making a move toward becoming a Magician. 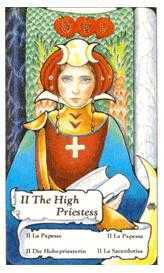 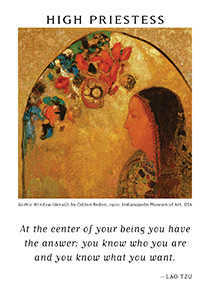 The High Priestess is his first teacher, representing the inner life and the method for contacting it, as well as the contemplative study of nature and spiritual mystery. 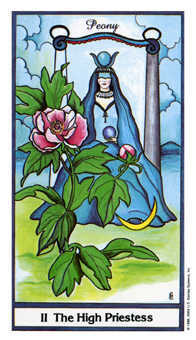 Put self-cultivation at the top of your daily priority list. 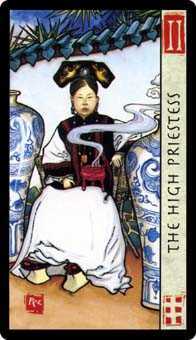 The High Priestess advises you to adhere to your chosen spiritual practice on a more regular basis. 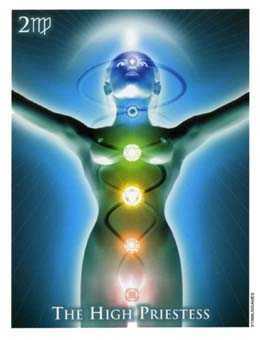 If you want the benefits of evolution, you'll have to cooperate with spirit. 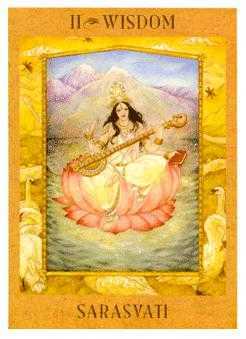 We all have distractions, demands -- a whole life full of reasons why we cannot find the time to retreat into our inner sanctum. 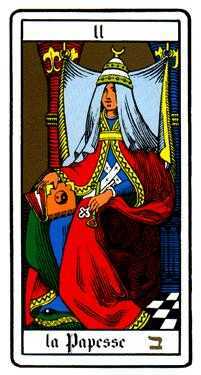 Until you consider this as vital to your well-being as the need to eat and sleep, you are likely to be eternally restless and deeply dissatisfied. 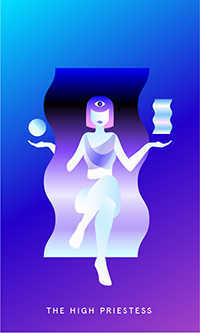 A spiritual routine that suits your temperament, practiced every day, is the most trustworthy path to freedom.